Fullam scored the Republic of Ireland’s first ever International goal, in a 2-1 defeat by Italy "B" at Lansdowne Road on 23rd April 1927. He worked as a docker in Dublin while playing for St Brendan’s, North End and Olympic. He joined Shelbourne in 1917-18 and won an Irish F.A. Cup Medal with them in 1920. Joining Shamrock Rovers in 1921, he became their captain and played in the inaugural Irish Free State Cup Final in 1922. In that match, his skirmishes with Charlie Dowdall of eventual champions, St James Gate FC, helped provoke post-match disturbances involving both players and supporters. This led to a ban for the start of the following season. Nevertheless, he still scored a club record twenty-seven League goals, in just twenty-two games, when they won the 1922-23 Irish championship, for the club's first League title. With teammate John Joe Flood, he joined Leeds in May 1923. Flood did not make the Leeds first team and, although Fullam did, he struggled in the Football League. Making his Leeds debut in the first fixture of the 1923-24 season he scored the opening goal in the 3-0 win over Crystal Palace at Elland Road in the second game and held his place for the first four games, before the return of Jack Swan. His next game was not until he deputised for Joe Richmond at Fulham on 22nd March 1923 and he was the first name on the scoresheet as Leeds won 2-0 at Craven Cottage. He continued deputising in the following game, at home to Blackpool, and played his final game when he deputised for Jack Swan on 19th April 1924 when Leeds went down 0-2 at Derby County. Both Flood and Fullam rejoined Shamrock Rovers in 1924. The pair helped them to the Double, as "give it to Bob" became a Dublin catchphrase. In the 1926 Cup Final he famously pulled out of a goalmouth challenge, sacrificing a goal and the Cup to prevent injuring the Fordson FC goalkeeper. Flood went on to gain five Irish caps and Fullam managed two. 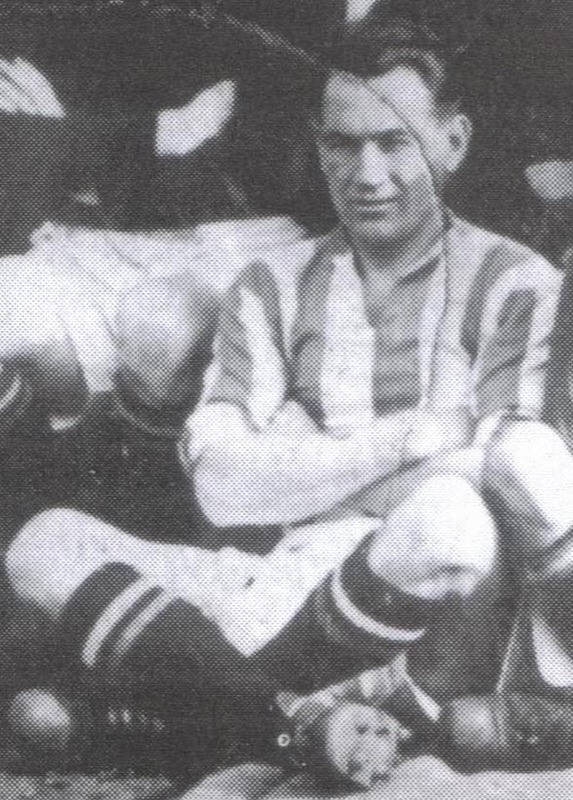 Harry Duggan, then with Leeds United was also in the Irish team in Fullam's second and final International appearance after Fullam had made his debut, along with John Joe Flood, in Turin in 1926, when they went down 0-3 to the full Italy International team in the country's first-ever International match. Fullam played six times for the League of Ireland, scoring twice, and won many domestic honours before spending 1927-28 in the USA with Philadelphia Celtic and Detroit club, Holly Carburetors. He returned to Shamrock Rovers in 1929 to take his championship medal total to four in 1930-31. While giving way to younger players at International level he still continued to play for Shamrock Rovers into the early 1930's. He won his League Championship medals in 1922-23, 1924-25, 1926-27 and 1930-31, while he had Cup-winners' medals in 1925, 1929, 1930 and 1931. All his club honours were with Shamrock Rovers, where the Leagie of Ireland Shield was won in 1924-25, 1926-27 and 1931-32 and the Leinster Senior Cup in 1923, 1927, 1929 and 1930. After he was part of the Rovers’ second treble-winning side of 1932 Fullam retired at the end of that season, having scored ninety-four Free State League goals. His association with Shamrock Rovers or the inter-league team was not over and he coached at the club and also the Irish Inter-League teams. Having helped Rovers to F.A.I. Cup wins in 1944 and 1945, he emigrated to London soon afterwards, where he died in 1974.